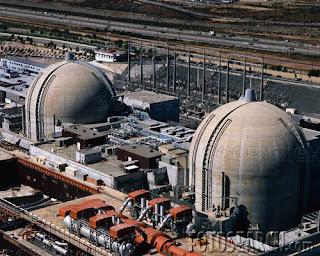 Edison International's Southern California Edison announced Friday that four steam tubes, or metal pipes, that carry radioactive water failed pressure tests. Theres failed pressure tests raised new concerns about safety and possible electricity shortages this summer. Three other tubes ruptured during testing earlier in the week, prompting the Nuclear Regulatory Commission to send a team to investigate. The utility said it would continue testing more than 120 similar tubes before making a decision as to how or when it might restart the plant. SoCal Edison is working with the state's electric-grid operator on a contingency plan to replace the nearly 2,200 megawatts of electricity the plant produces in the event that it remains shut through the summer. Edison shut down one of two reactors at the San Onofre plant Jan. 31 after one tube sprang a leak and released a small amount of radioactive steam. The NRC said the amount of radiation released from the reactor posed no harm to workers or the public. The plant's other nuclear unit, Unit 2, had been shut down for routine maintenance and refueling. Edison, which owns the plant with Sempra Energy's San Diego Gas & Electric utility, plans to keep both units offline until it resolves the steam-tube problem. At each unit, nearly 19,500 tubes carry hot, radioactive water and steam from pools of water that hold nuclear-fuel rods to the generators, which use the steam to produce electricity.